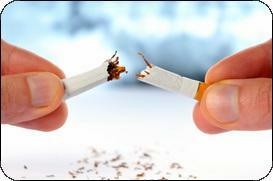 Have you tried to quit smoking before but found it impossible on your own? Perhaps you succeeded only to be triggered down the line to reach for the cigarettes again by an upset? Perhaps you’ve got an addiction to food, alcohol or other substances. I can help you with your goal to quit, if you’re ready to make the commitment to achieve it. I work with gentle techniques which I have found successful in helping my clients to quit their addiction. Using Emotional Freedom Techniques, we can bring down the immediate craving within minutes so that you can easily walk away from your addiction to food, cigarettes, alcohol, drugs or other substance. In a few cases this single approach also collapses the overall addiction. To see a short video on EFT reducing an intense craving in minutes click here. We then work together to clear the cause of most addictions, namely the need to "tranquilize" the anxiety caused by underlying negative emotions, like anger, fear, guilt, grief etc. Until these issues are safely resolved, the addictive behaviour is likely to remain an issue either in its original form or as a new addiction. This helps explain why people who successfully give up one form of addiction simply switch to another - for example, from alcohol to coffee - and why they are susceptible to gaining weight after having quit. So we work to neutralise whatever emotional upsets may be behind the need to smoke. Smoking, like with most addictions, is a way for the mind and body to cope with painful experiences. Working with EFT, we gently and sensitively bring down the emotional pain levels associated with the habit so that there’s no need to be drawn back into the spiral of the addiction regardless of what problems life may bring. EFT is a good alternative to traditional counselling. I was really struggling with EFT on my own and was close to quitting. But I took the step of having a session (two now) with Sejual. Her fluid style and depth of experience turned my understanding of EFT around. She helped me get big results in a short space a time and encouraged me with being able to tap by myself. I have solid and successful experience in working to find freedom from a range of addictive substances, from chocolate to cannabis and hard drugs. In particular, I have had success in resolving panic attacks arising from drug use. I tailor my program around my client’s individual needs to help them achieve their goals gently, effectively and efficiently. Up until 24 October 2007 I had been addicted to cannabis for 15 years, with 7 of those years described as chronic addiction. Sejual demonstrated an exceptional level of patience and understanding in working with me (all over the phone), and together we worked persistently and diligently to neutralise a whole heap of really heavy emotional garbage.